Let's be honest, it was no hardship to trade subzero temperatures for 60's and blue skies. This was my second time visiting Austin and it is just a fun town - very easy to get around for a convention. I think I mentioned in my pre-QuiltCon post that I was only there for half the convention due to a family wedding...but I do feel like I squeezed a lot in during that time. 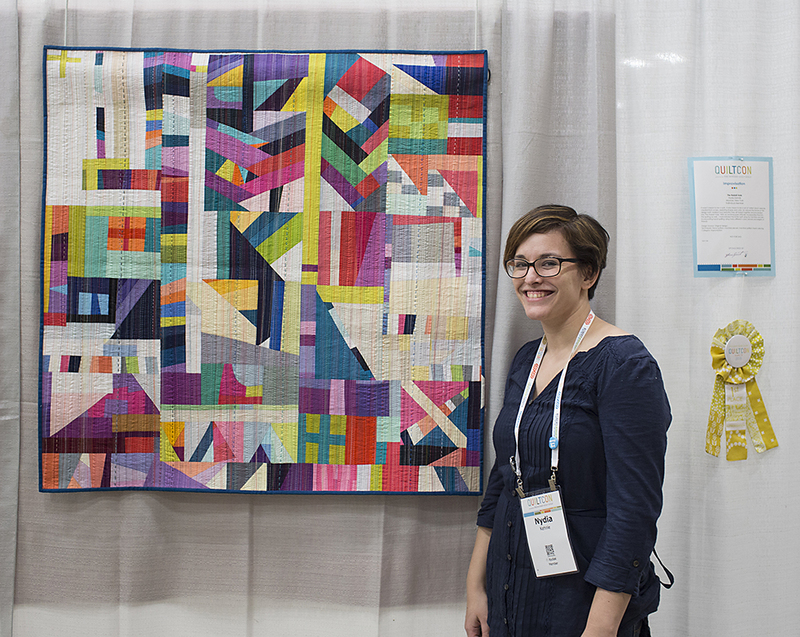 First things first, once again QuiltCon was super well done. I know absolutely nothing about planning a convention, but I am so impressed with how everything played out. I checked in on Thursday morning. There was a CRAZY and I mean CRAZY long line, but once the kiosks opened it moved really quickly and I was up in my first class of the day with plenty of time to spare. 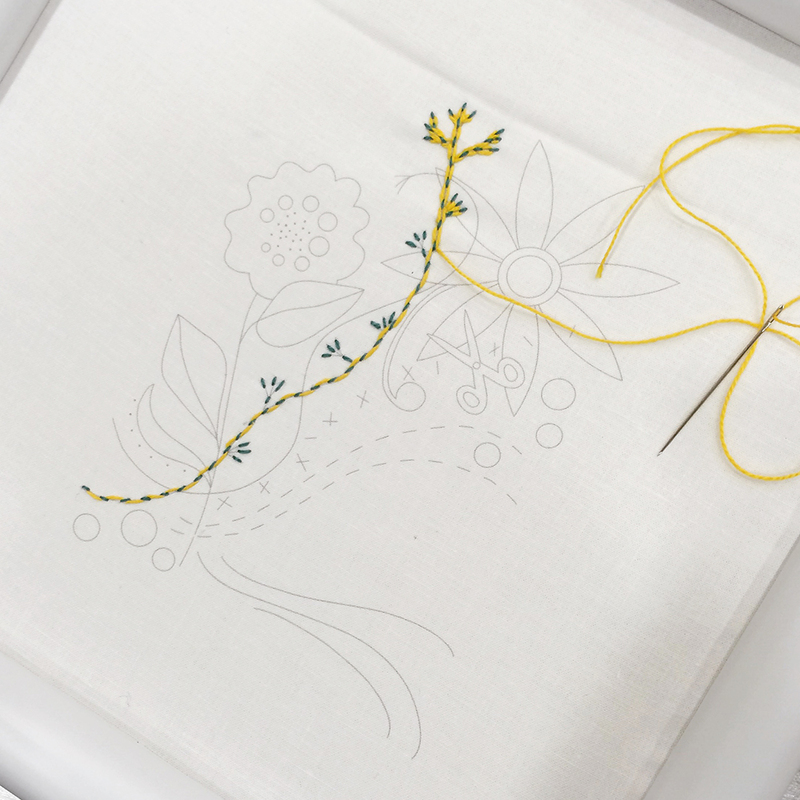 My first (and only) class was embroidery with Alison Glass. Alison set up this giant frame and showed us embroidery stitches super sized so everyone could see. SO SMART! Then we all got to work on our projects while we chatted. It was sort of like sewing social time and I loved every minute of it. Very relaxing. I spent some time in lectures, and the rest of the time on the floor. I really focused my attention on the quilts. And there were so many awesome quilts to see. It was pretty overwhelming (in the best way possible). Most of the quilts I saw did not use a standard grid layout. 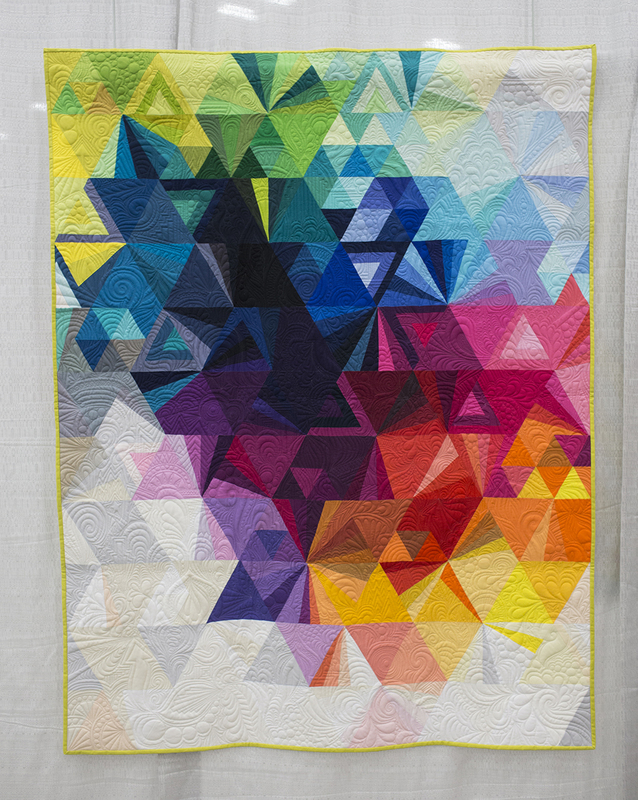 I think if your goal is to have a quilt in this show next year, that should be a strong hint as to what you might want to consider submitting. I noticed a ton of matchstick quilting. Another hint, hint I think. 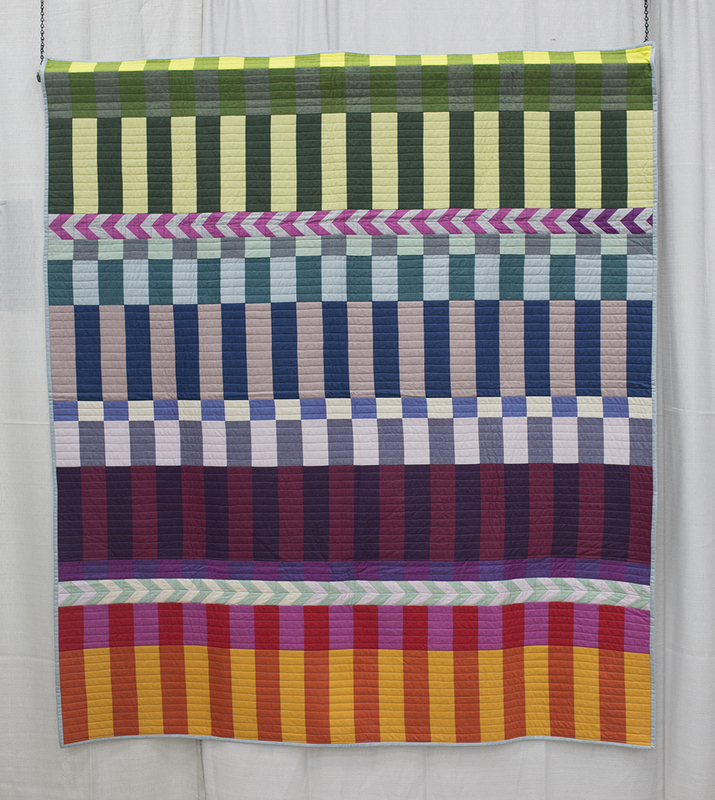 I'm a huge fan of Nydia Kennley's quilts. Above you'll see her with her award winning improvisational quilt, The Rabbit Hole. I watched this one come together on Instagram - you must follow her if you have an Instagram account! The quilting alone. Wow. It's matchstick quilting, a mix of different colored thread, with some hand quilted straight lines mixed in as well. 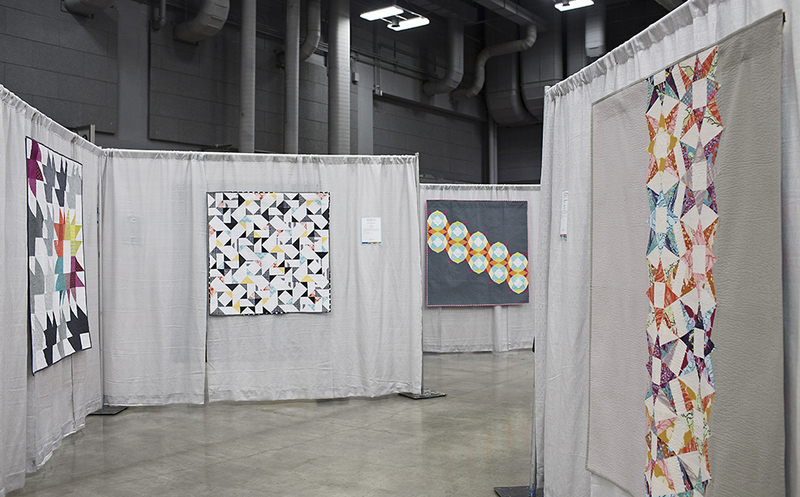 A fun moment for me was to turn down this aisle and see quilts by my coauthors Katie, Lee and me, all related to Vintage Quilt Revival : two quilts from the book itself and one quilt that was a spin off from one of the patterns. A personal all time favorite of mine, Improv Double Wedding Ring by Natalie Sabik, was on display. What a treat to see this one in person. After Austin I flew to Florida for a few days. Part of this time was spent relaxing poolside with my one and only purchase from QuiltCon - The Improv Handbook for Modern Quilters: A Guide to Creating, Quilting, and Living Courageously by Sherri Lynn Wood. This book is beautiful. Just trust me and go buy it. I'm sure I'll be doing a more in depth review of it soon on the blog.